For your convenience, we offer a variety of shipping options. Sometimes, an option you select might not be available for the products in your order. "Letters," both domestic (United States) and international (not the United States) are for playing cards ONLY. They involve a stamped envelope with no tracking. Any order with 16 cards or fewer can be shipped as a "Letter"
Orders to be shipped outside the United States will only have tracking up to the US Customs office. If you need tracking up to delivery at your address, you must choose Priority Mail International. Domestic customers may use the "Born to Play Cards-and-Dice Only Flat Rate" of $3 for any size order of Card Singles, including Dice Masters. You may return most new, unopened items sold and fulfilled by Born to Play Games within 30 days of delivery for a full refund. We'll also pay the return shipping costs if the return is a result of our error (you received an incorrect or defective item, etc.). If a package is returned as undeliverable, we will refund the cost of the product (not the shipping) and put the cards back into inventory. You will be informed of this action and you may place another order at whatever the current rates are, which may be higher or lower than the price you initially paid. Born to Play Games depends strongly on the player community for being in stock on most of our card singles! We need you guys! We will post specific cards on our buylist that we are seeking, but we will buy entire collections as well. Please email Indigo.Skull@borntoplaygames.com with details about your collection to try and sell us your cards / dice / games / miscellany. You are responsible for shipping us buylist items safely and in good condition. If we don't receive what you send us in the condition you promised, we won't pay you the price we agreed on. Insurance is strongly recommended when sending us a valuable lot. Even if you are shopping our buylist, we reserve the right to refuse to buy your stuff. Please ask and await approval before shipping us stuff. We make payment via Paypal or store credit, depending on your preference. There may be a bonus for receiving store credit, which may change any time without notice. Once again, make sure the price is agreed upon before shipping us stuff. How does Born to Play Games protect customer information? Will Born to Play Games disclose the information it collects to outside parties? 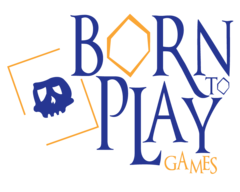 Born to Play Games does not sell, trade, or rent your personal information to companies not affiliated with Born to Play Games. 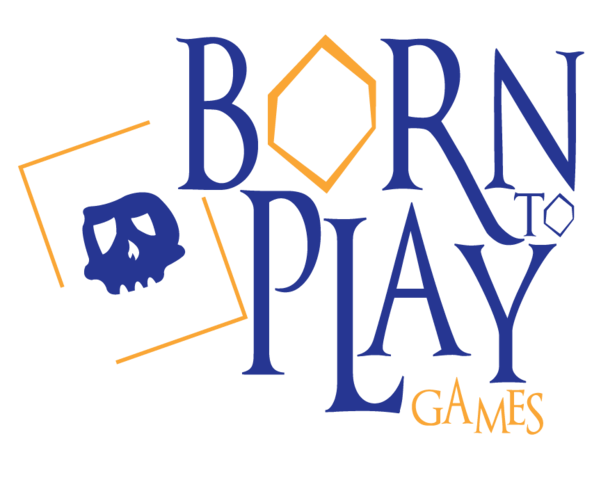 Born to Play Games may provide aggregate statistics about our customers, sales, traffic patterns, and related site information to reputable third-party vendors, but these statistics will not include personally identifying information. Born to Play Games may release account information when we believe, in good faith, that such release is reasonably necessary to (i) comply with law, (ii) enforce or apply the terms of any of our user agreements or (iii) protect the rights, property or safety of Born to Play Games, our users, or others. Born to Play Games is committed to protecting your privacy. We use the information we collect on the site to make shopping at BorntoPlayGames.com as simple as possible and to enhance your overall shopping experience. We do not sell, trade, or rent your personal information to others. Born to Play Games also provides links to affiliated sites. The privacy policies of these linked sites are the responsibility of the linked site and Born to Play Games has no control or influence over their policies. Please check the policies of each site you visit for specific information. Born to Play Games cannot be held liable for damage or misdoings of other sites linked or otherwise.